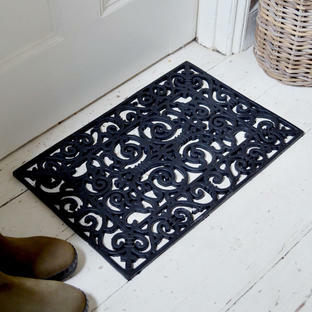 A narrow doormat for smaller spaces. 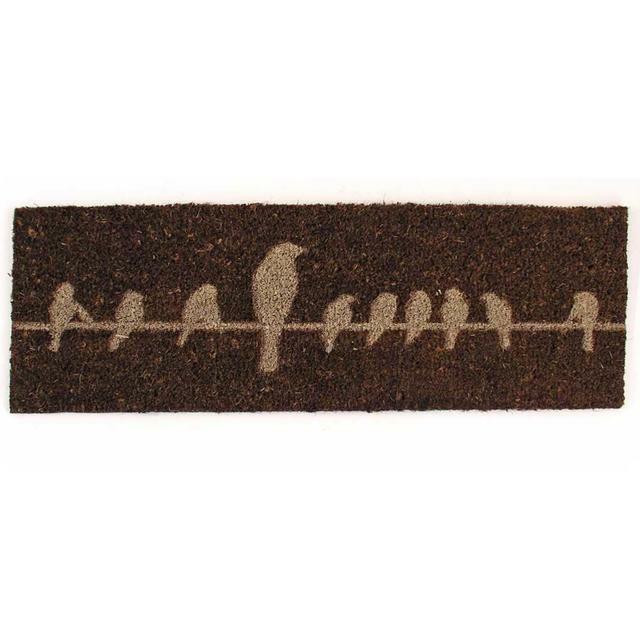 An gorgeous, striking and great value doormat for a smaller porch or a entrance where a standard deep mat would look out of place. 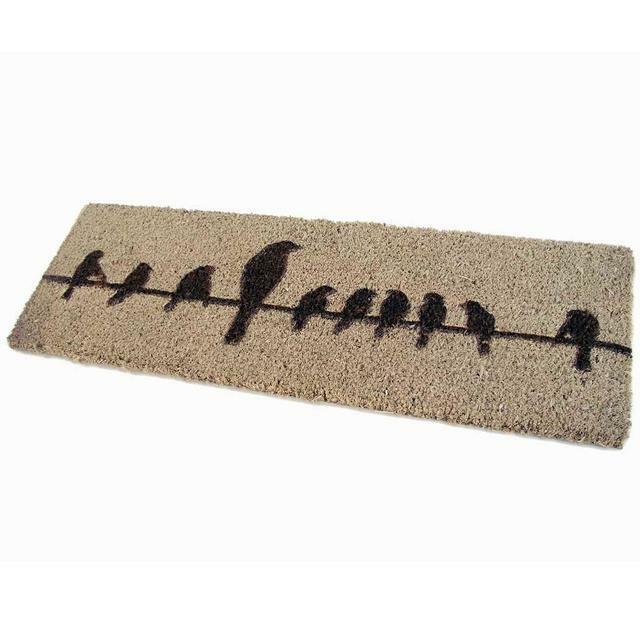 Alternatively, where floor space might be at a premium but a small doormat is definitely required to keep muddy footprints at bay. 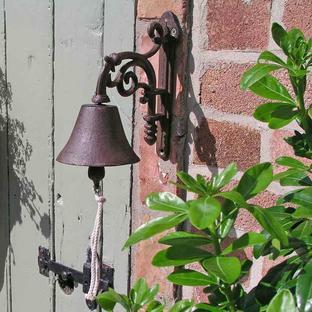 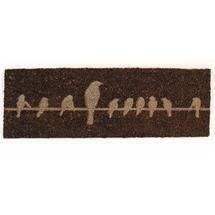 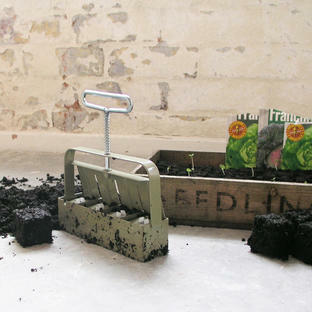 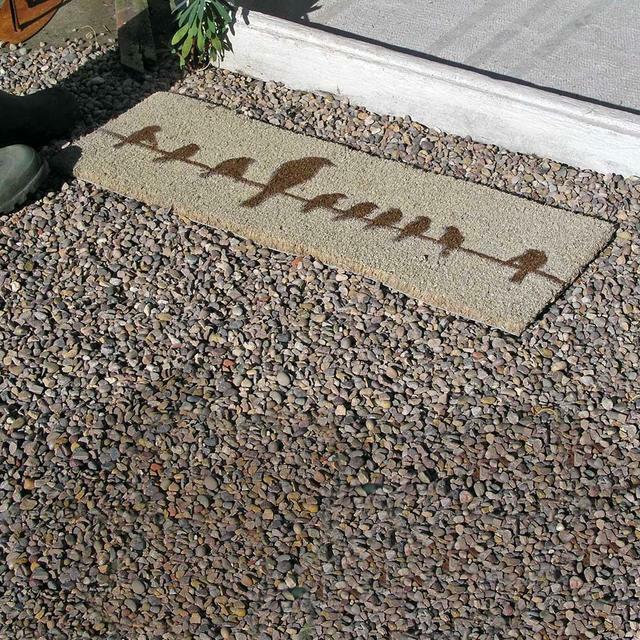 Made from stout coir with a welcoming 'birds on telegraph wires' design. If you require a slightly larger doormat then see its bigger cousin bird on doormat.